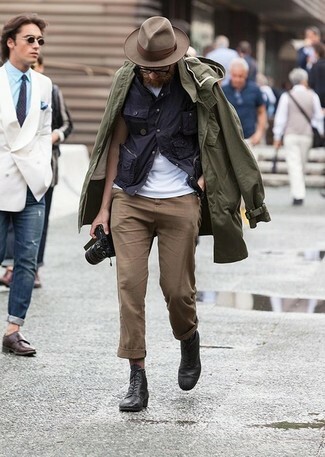 If you're on a mission for a casual yet dapper look, marry a MACKINTOSH midi raincoat from farfetch.com with brown chinos. These garments are very comfortable and look great when worn together. Amp up the cool of your look by rounding it off with black leather casual boots. 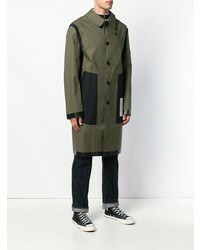 Marry a MACKINTOSH Midi Raincoat from farfetch.com with grey dress pants for a sharp, fashionable look. 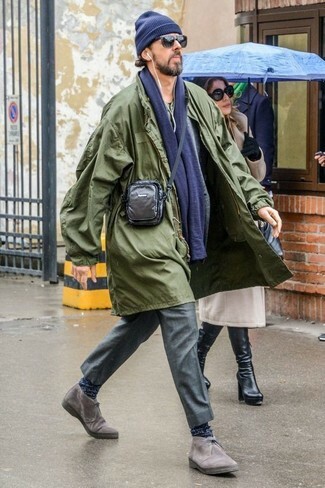 For something more on the daring side to finish off this outfit, grab a pair of grey suede desert boots. If you prefer relaxed dressing when it comes to your personal style, you'll love this neat pairing of a MACKINTOSH midi raincoat from farfetch.com and navy sweatpants. 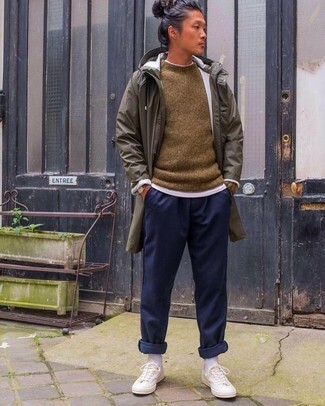 When it comes to footwear, this look is round off really well with white canvas low top sneakers. 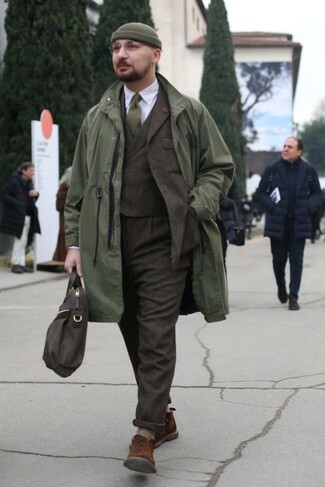 Consider wearing a MACKINTOSH Midi Raincoat and a dark brown wool suit to ooze class and sophistication. Tobacco suede desert boots will add a more relaxed feel to your look. 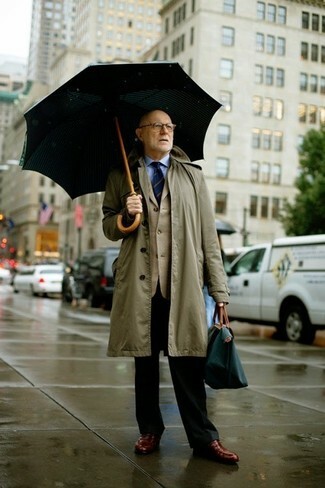 If you're on the hunt for a casual yet dapper getup, consider teaming a MACKINTOSH midi raincoat with blue jeans. These garments are super comfortable and will look great together. You could perhaps get a little creative in the footwear department and spruce up your look with dark brown leather chelsea boots. 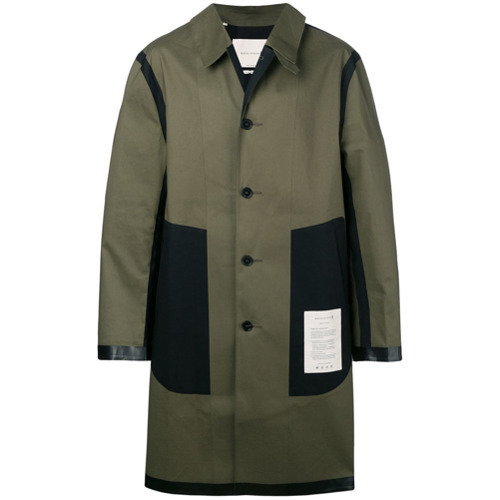 Wear a MACKINTOSH Midi Raincoat and black dress pants for incredibly stylish attire. Brown leather loafers will deliver a more relaxed feel to your look. 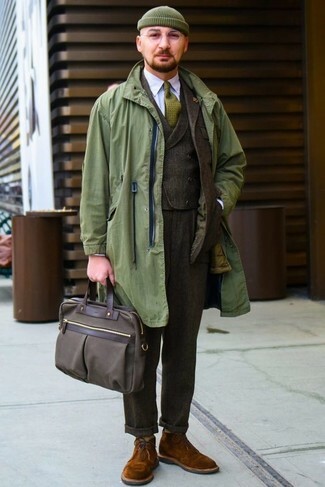 Go for a MACKINTOSH midi raincoat and a dark brown wool three piece suit for incredibly stylish attire. Grab a pair of brown suede desert boots for a more relaxed aesthetic. 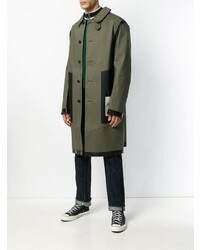 If you're on the lookout for a casual yet dapper ensemble, rock a MACKINTOSH midi raincoat from farfetch.com with navy jeans. These two garments are very comfy and look great paired together. Up the cool of your look by wearing dark brown suede tassel loafers. 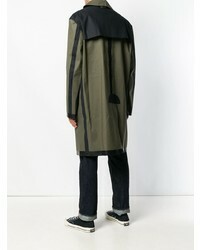 If you're on a mission for a casual yet on-trend outfit, go for a MACKINTOSH midi raincoat from farfetch.com and navy jeans. These two pieces are very comfy and look great when worn together. And if you want to instantly up the style ante of your look with one piece, add dark brown suede desert boots to the equation.